Can my child use his/her baseball or football cleats? How does Washington Youth Soccer screen its volunteers? How can I locate a soccer program for my child in my community? How can I volunteer to help out with a youth soccer team? Why isn't my tournament showing up on the website under "Sanctioned Tournaments"? How do I sign up for a coaching clinic? How can I find a club for my child? How long can my child play soccer? At what age can my child begin playing soccer? What does the "U" in U-6 etc. mean? How do I find the Operating Documents? It is the responsibility of the referee to determine that all players are in compliance with FIFA Laws of the Game Law 4, which states in part that "A player must not use equipment or wear anything which is dangerous to himself or another player (including any kind of jewelry)." A referee may look at shoes that have been manufactured for another sport and decide that the shoes would be safe on the soccer field, but it is also possible that a specific shoe, in the opinion of the referee, would be dangerous on the field. The style of baseball shoe that included a flat metal cleat by the toe would undoubtedly fall into this unsafe category. Even some shoes manufactured for soccer could be dangerous. For instance, cleats with screw-in studs may be worn down so that there is metal showing. In such an instance, the referee may consider these to be unsafe. Shin guards are also mandatory equipment for any official game. Shin guards can cost as little as $5 or more than $50, depending on the materials. They can range from a simple piece of plastic to state-of-the-art synthetic materials. The strength of the shin guard materials is in direct proportion to the strength of the opponent's kicking ability. Typically, games are held once a week on Saturdays for ages U-6 to U-15 and on Sundays for ages U-16 to U-19. Ages U-6 through U-10 typically play in their local community. The older ages and more competitive teams may have games in nearby neighboring District communities. The highest level competitive teams (State League teams and Regional Club League teams) may play other teams from all over Washington State. In Washington Youth Soccer, boys and girls play on separate teams. On occasion at the younger ages, you may see a mixed team. However, per our classification process by adding one boy onto a "girls" team, that team will be considered a "boys" team. A girl playing on a "boys" team will not change their team classification. No coaches, managers, or team administrators are given access to children until they have passed through Washington Youth Soccer’s Risk Management (RMA) program. Washington Youth Soccer runs a background check on all registered volunteers to make sure none of the players in our state are put in jeopardy. There are a number of ways. You may contact the Washington Youth Soccer office (253) 476-2237 for the contact information to an association in your neighborhood or visit our online directory. Additionally, check with your local school office staff, newspapers, and telephone book, Parks Department, other parents in your community, go out to your local parks when you see a team playing and speak to the coaches. Contact your local community soccer club. 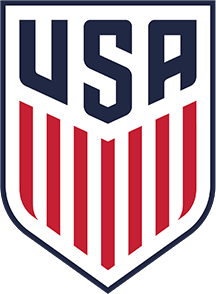 If you do not know where your local association is, click on DIRECTORY at the top of this page or call the Washington Youth Socer Office at (253) 4-SOCCER (467-2237). The most common reason for this is an invoice that has not been paid. Check at the association level to make sure the appropriate funds have been sent. If they have paid the invoice in full, please contact Washington Youth Soccer, so we can correct the issue quickly. Our phone number is (253) 476-2237. Visit the Washington Youth Soccer Coaches tab. In the left hand menu under Coaching Education, click the "Course Schedule" link to see the list of the current course offerings. For more information on each course, click "Course Descriptions". Once you have found the appropriate course and location, click on the link. You will be redirected to Affinity, our database platform, to register. Should you have any questions, please contact Cole Morgan, Program & Event Manager, at colem@WashingtonYouthSoccer.org. Nearly all sporting goods stores will have a variety of soccer shoes and balls for you to choose from. Click on "Find a Local Soccer Program" button on the home page. Enter your zip code and search range. Select the club you would like your child to join and give them a call. Cost is determined by the local organization and the team which may include uniforms, equipment and travel expenses. Please contact your local organization for more information. One of the most appealing aspects of soccer is that it is a lifelong sport that can be played by anyone at any age. Washington Youth Soccer administers players from the age of 5 to 19. Players over the age of 19 are considered amateur players instead of youth and must register with the Washington State Soccer Association. Youth players also may continue their careers in soccer by becoming youth coaches or referees. Age 5 years. Some parents start their child at age 4 years however, this is often discouraged as they would be playing against 5-6 year olds. You will see 2 options in a blue rectangular box; "Search by Keyword" and "Filter by Category"
In "Filter by Category" select "Operating Documents"